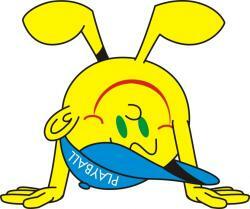 I would like to receive occasional information and updates from St Paul's School May Ball Auction and jumblebee. 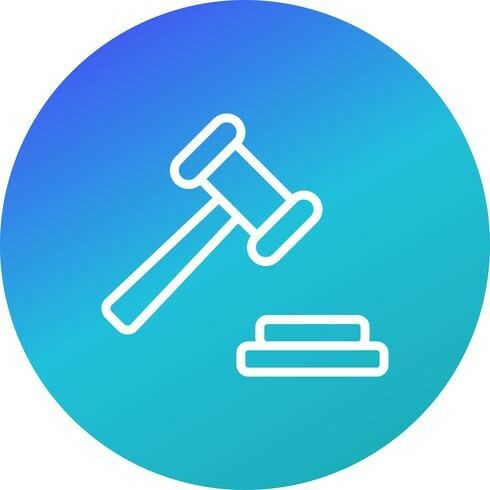 Welcome to the Big May Auction. We hope you find lots of things that you want! The auction will end on Friday 10th May at 11pm. All winners must pay within two days of the auction closing to receive their vouchers. All money raised will go towards the new trim trail and obstacle course. Happy bidding! Close. The voucher entitles the holder and three guests to 2 games of topgolf. This voucher entitles you to a free day at our Tennis England or Camp England Holiday Camps in Kingston. At Kingston we have Street Dance and Musical Theatre classes for ages 3-12 yrs, on Thursdays and Fridays. One of our new venues, Kingston Nuffield has a fantastic cafe area to relax in while your child is in class - or of course you can join the gym and use this as an opportunity to work-out! Voucher is for new students only and for one class per week. 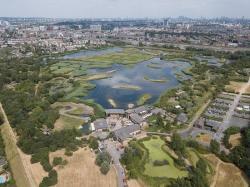 Family entry (2 adults and 2 children) to London Wetland Centre. The attraction was set up to create great holiday memories and the BIG Sheep ‘flock’ look forward to giving visitors to the park a totally EWEnique day out. The BIG Sheep is home to Devon’s most popular and largest roller coaster, plus 12 hilarious, EWEnique shows, with undercover viewing area. Outdoor play includes giant jumping pillows, twister ride, splash zone and archery tag. Gentle rides for toddlers include Piggy Pull-Along, Tractor Safari, self-drive Tractor Track, Pony Rides, Vintage Carousel, Swan pedaloes. Family ticket for 2 adults and 2 children travelling together. Hardwick Central to Cockrow Hill via Green Lane loop by Red or Green service. 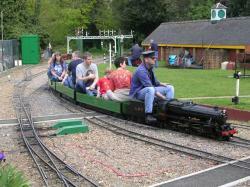 Come and ride on one of Britain's most spectacular miniature railways. 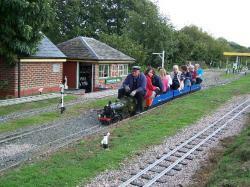 The Great Cockcrow Railway is a 7¹⁄₄ in gauge miniature railway located near Chertsey, Surrey, UK. It is open on Sunday afternoons from May to October inclusive, plus Wednesday afternoons during August as well as May Bank Holiday. Voucher admits 2 children free when accompanied by 1 full paying adult. Birdworld is the United Kingdom's largest bird park, covering 26 acres. It is located in the East Hampshire district, close to the village of Bucks Horn Oak and the surrounding Alice Holt Forest. Birdworld includes an Underwater World aquarium and the Jenny Wren children's farm. Bird World, Holt Pound, Farnham, Surrey, GU10 4LD, UK. Stuck in a rut? Not sure about your career goals? Bid on this 1 hour career coaching session with a qualified executive coach and HR professional. Evenings only. 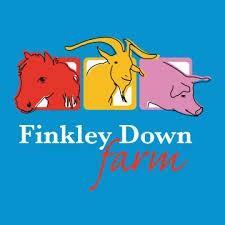 2x adult 2x kid's pass for Finkley Down Farm. Expires 18th November 2019. Enjoy a day out at Lensbury! You can be as active or relaxed as you want in our beautiful surroundings. 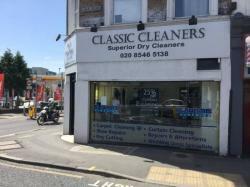 Lensbury, Broom Road, Teddington, Middlesex, TW11 9NU. Nuffield Health Kingston Fitness & Wellbeing Gym provides a host of first class health services as well as state-of-the-art fitness facilities. This pass entitles you to enjoy seven free visits to a Nuffield Health Fitness & Wellbeing Gym. There is oodles of fun to be had at Drusillas Park, which is widely regarded as one of the best days out in Sussex for families. With so many things to do, you can spend hours and hours exploring in the zoo, going wild in the play areas and letting your hair down on the exciting kid's rides. 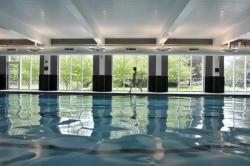 You have won a complimentary month’s membership at Nuffield Health Kingston. This offer is valid for 2 adults and 2 children. - 3 exercise studios for Holistic, Cardiovascular and Spin classes. - 150 + classes per week including Yoga, Pilates, Aerobics, Spin Cycle, Swim fit and many of the Les Mills classes such as Body Pump, Body combat etc. 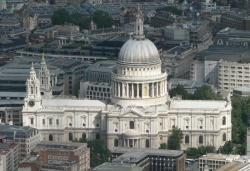 - Friendly and helpful staff with a friendly club atmosphere. 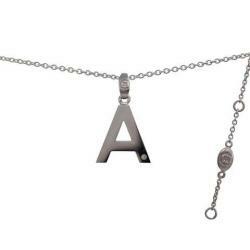 Personalise your jewellery with this very special necklace - choose whichever letter you want from A-Z. Sterling silver, rhodium plated, 16-18" tiny diamond set necklace . 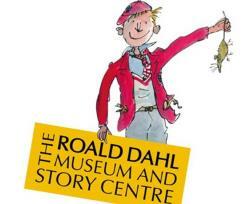 Family ticket entry to the Roald Dahl Museum for 2 adults and 3 children. The Roald Dahl Museum and Story Centre is a museum in the village of Great Missenden in Buckinghamshire, England. Children's and short story writer Roald Dahl lived in the village for 36 years. Free holiday camp day to be redeemed at a Kingston or Richmond based centre only. Action packed day for 10 players. 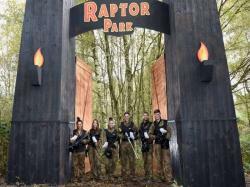 Full day entrance to award-winning paintball centres with top quality equipment hire. Are you ready for some serious fun? On a movie-set scale? Get yourself kitted out in the latest paintball gear – combat suit, full-head goggles complete with fog-free lens, body armour and the latest semi-automatic paintball gun. Then head out for the best adult paintballing experience imaginable. Free admission for 2 adults and 2 children to Hobbledown. 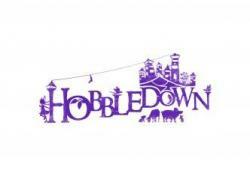 Family farm attraction with costumed characters, wooden play areas, a play barn and a picnic area. 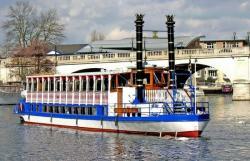 A Thames river boat cruise is the ideal way to explore Richmond, Kingston and Hampton Court Palace in SW London. Complimentary ticket for 2 passengers, any weekday return service Monday to Friday excluding bank holidays. We would like to welcome you and five guests to come down to our store for a guided wine tasting with one of our knowledgeable staff. Lasting one hour , we will enjoy six wine samples carefully selected from our range of world wines. Your host will share the stories behind each wine , giving insight into the producers and the regions form which they hail. Please note that any wine purchased from Laithwaites Surbiton with the verbal code ST PAULS SCHOOL will give a 10% kickback to the school. Happy shopping! 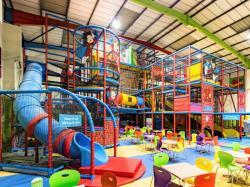 Come to Kidabulous for a whole floor for toddlers, for the biggest soft play around or for parties. 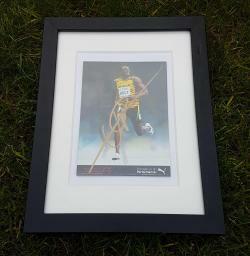 Framed and signed postcard of the Olympic champion Usain Bolt - excellent condition. Usain Bolt is a world record holder in the 100 metres, 200 metres and 4 × 100 metres relay. His reign as Olympic Games champion in all of these events spans three Olympics. Owing to his achievements and dominance in sprint competition, he is widely considered to be the greatest sprinter of all time. Money raised from this donation will be split between the school and The Samaritans. 5x entries to Avondale Gymnastic's Tumble Gym Sessions. These ‘drop-in’ sessions, no booking required, are held three times per week to provide a safe play environment for Parents, Carers and children from birth to 4 years old. Pre-school equipment is set out for the enjoyment of the children. Also available are bars and beams. Monday's, Wednesday's and Thursday's 10am-12pm term time only. Complimentary ticket for 2 passengers, any weekday return service Monday to Friday excluding bank holidays. Four class pack at Dynamic Dance Studios until the end of the autumn term 2019 and free t-shirt size 152cm. 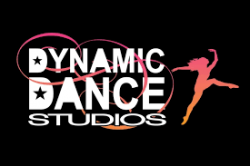 Dynamic Dance Studios offer a variety of dance classes for children and adults. 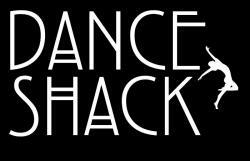 A modern day Dance Studio offering vibrant dance classes & performance opportunities as well as workshops and dance parties. 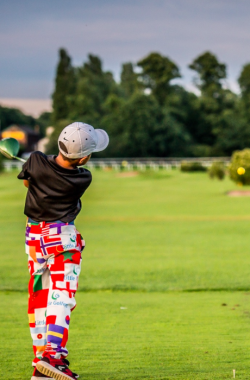 Little Golfers is offering 2x 1 hour junior golf lessons which can take place on the driving range or golf course or in the indoor golf simulator. Junior coaching for 4-14 years old. Children learn golf in a FUN, safe environment with Andy or one of his coaches to get the most from this sport. Lessons consist of a lot of FUN games, support, different visual training aids and golf skills improve without the need for too much technical information given. New customers only. Dry-cleaning voucher from our local dry-cleaning specialist. 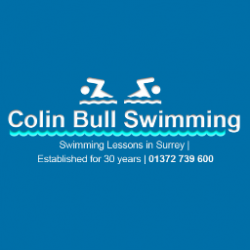 This voucher entitles one person to one term of swimming lessons. 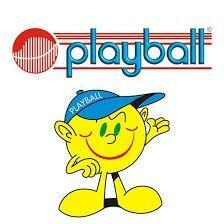 Weekday shall end after 7pm and weekend lessons parent and child and shallow end after 12pm. 1x term of Zumba Kids after school club at St Paul's Primary School in the Autumn Term 2019 on Monday afternoons. 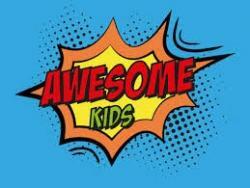 Zumba Kids is open to children in Y1-6 who attend St Paul's Primary School, Kingston. Afternoon tea for 2 person in the restaurant at ht Holiday Inn London - Kingston South. Delicate flavours, expertly combined by our award winning Chef, create unforgettable taste sensations in this contemporary and stylish setting. 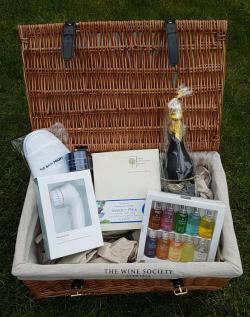 This prize excluded all wine, drinks and extras, which are required to be paid for as taken. 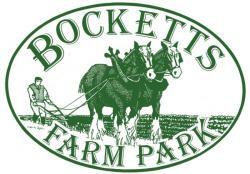 Free entry voucher for 2 people to Bocketts Farm. 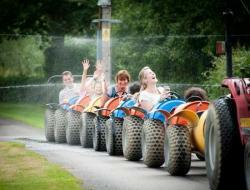 Bocketts Farm is a working family farm set in the beautiful Surrey countryside. The combination of animals and play areas, both inside and out, make our farm one of the South East's most popular all weather attractions. Whether it's a family day out, a school or group trip or one of our popular birthday parties, you can be sure to have fun, come rain or shine. Watch the pig race, take a pony ride, hop on board the tractor and trailer, cuddle cute rabbits and feed our many wonderful farm animals. Being a working farm, there are always baby animals to see including lambs, kids, piglets and chicks. With trampolines, giant slides, a bouncy pillow, 2 large indoor play barns and outdoor adventure trails, plus lovingly homemade food in our gorgeous Old Barn Tearooms, Bocketts Farm Park makes for a brilliantly exciting day out for the entire family. This voucher entitles the holder to 3 one hour personal training sessions with Dermot Kavanagh to be arranged at a mutually convenient time. This high intensity training is a fantastic way to get you in shape fast. It focusses on bursts of high intensity exercise followed by a lower intensity period. 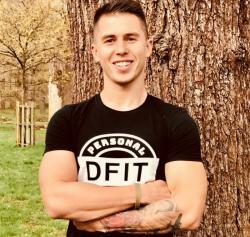 Whether you want that rippling six pack or just want to be able to carrying all the food shopping in one go without your arms dropping off, then strength training may be for you! From different press-up variations to developing leg strength to help with sprints, there are a wide range of available exercises. 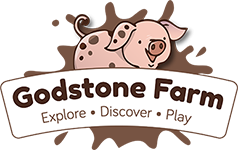 Godstone Farm & Playbarn is set in the beautiful Surrey Hills and a short distance from the M25, the farm is the perfect family fun filled day out. 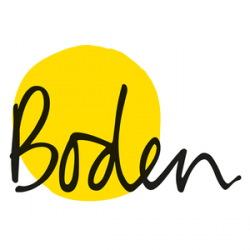 1x term of Boogie Ballet after school club at St Paul's Primary School in the Autumn Term 2019 on Tuesday afternoons. Boogie Ballet is open to children in Y1-2 who attend St Paul's Primary School, Kingston. 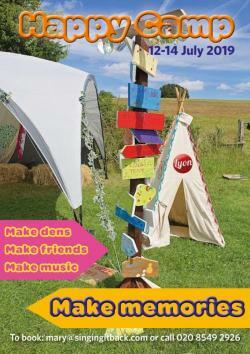 1x family ticket (2 adults and 2 children) for Mary Bourne's 10th annual Singing It Back family camp weekend on 12-14 July in the Surrey Hills. 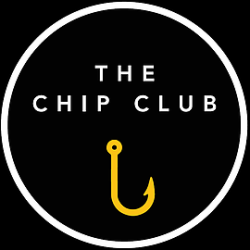 The Chip Club, 56-58 Villiers Road, Kingston-Upon-Thames. 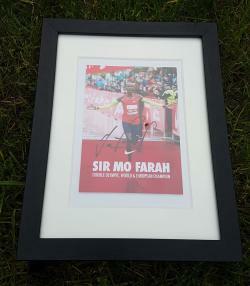 Framed and signed postcard of the Olympic champion Mo Farah - excellent condition. The most successful British track athlete in modern Olympic Games history, Mo Farah is the 2012 and 2016 Olympic gold medallist in both the 5000m and 10,000m. 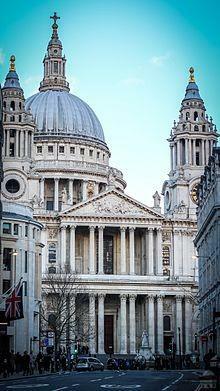 Farah is the most decorated athlete in British athletics history, with ten global titles, and was the first British athlete to win two gold medals at the same world championships, although Dame Kelly Holmes had achieved the feat at an Olympic Games. His five gold medals at the European Athletics Championships make him the most successful athlete in individual events in the championships' history. Family of four entrance ticket. 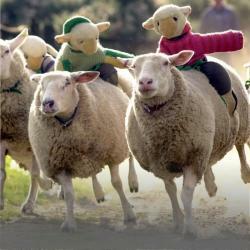 Chobham Adventure Farm is an indoor & outdoor play area designed for children to learn & participate along with adults. 1x free ski or snowboard session at Skieasy. Sessions are approximately 60 minutes with an instructor. Suitable for 1 to 4 people dependent on age and previous experience. Skieasy is not like traditional ski centres. Due to the capability of our Maxx-Tracks equipment we are able to maintain full control over the skiing equipment. From the gradient of the slope to the speed at which it runs we ensure that the conditions are perfect for your development. Voucher must be used by 1st October 2019.